Firstly we want to clarify that we are writing about watches with analog display and mostly wristwatches. The in order to define “unique” let us define “classic” and deduce the first by contrast. We refer to a classic watch as the one that has a standard 12 hour dial horizontally positioned in the wrist with the 12 hour mark at the top; it is operated by a mechanical or quartz movement (digital watches are not part of this article) and hours, minutes and seconds are indicated by hands; the watch might also have some of the most common complications. Every other kind of watch for us is unique or unusual and we classify them in five different buckets based on: i) the number of hours indicated in a cycle in the dial, ii) presence or absence of the cycle in the dial, iii) position of the time display, iv) use of special features and v) technology used to receive or convey the measure of the passage of time. The next sections underline the characteristics of those five buckets and celebrate some of the watches that would fall under each category. The most common watches are based on a 12 hour cycle. The dial generally shows 12 hour marks and the hand that indicates the hours makes two complete rotations in a day. People are so used to this system that some watches don’t even show the hour marking anymore (e.g. latest Movado Edge). The 12 hour system is so engrained in our minds that we take it for granted and don’t even think about alternatives. However, the 12 hour system is not the only one and actually was not even the first being used. Over the years from the Egyptians to nowadays many different cycle systems have been explored and new ones are being explored. For example, aboard United States submarines people use to have 18 hour work cycles (6 hours work, 6 hour maintenance and entertainment and 6 hours sleeping). In other words, their day was made of 18 hours and current watches do not address this schedule (yet). On the other hand watches based on 6 hour exist and one sublime execution is the Soprana N°6. This watch is the results of the collaboration between the jeweler Soprana and the watchmaker MeisterSinger. The watch was crafted to celebrate the 150 anniversary of the establishment of Italy and is inspired by the work of the famous Italian clock maker Giambattista Rodella who created the first single hand clock with a six hour dial as early as the 18th century. Another recent example of 6-hour cycle watch is the Janus Neuhaus double-speed which showcases one single hand in a 6-hour dial. In a way less unique yet unusual are the watches with a 24 hour dial. We covered this topic in another article (24 HOUR CLOCK) but the key point is that those watches generally have a 24 hour dial and the hand that indicates the hours makes one single complete rotation every day. Different watchmakers play in this category though it is still a niche segment. Please refer to our other article if you want to know more about 24 hour watches – however still worth a mention in here is the Frederique Constant Manufacture Tourbillon (or Slimline Tourbillon). This watch is a bit anomalous as it showcases a normal 12 hour cycle but also a subdial with a double ended hand (sun and moon icons at the two ends) which clearly indicates whether the time refers to the 12 day hours or the 12 night hours. We are used to read the hours via a hand which rotates in a cycle; most of the time framed in a perfect circle other times in a “squarish” or triangular watch face or even in watches with unusual shapes like the Cartier Crash. However, there are some watches that don’t use the standard cycle to indicate the hours and we define them unusual. 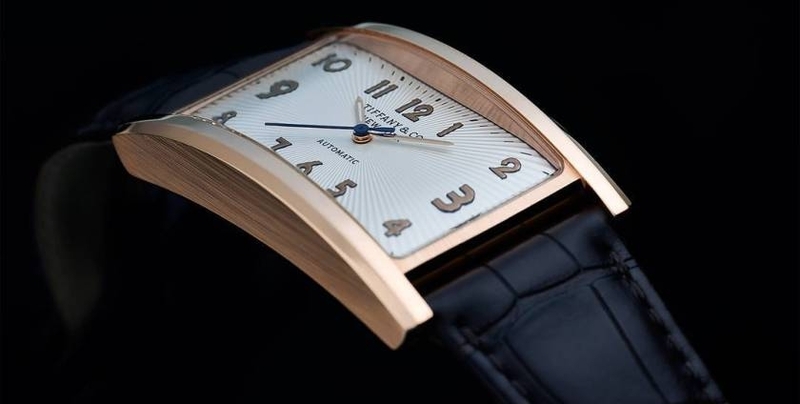 Frédéric Jouvenot won the Superwatch Award in Geneva (Jan 2011) with the HELIOS model. In this watch the hours are not indicated by a rotating hand – instead 12 elements disposed in a radial way (like a flower) in the dial can turn on their own axes and via doing so they change color and help understanding the time. Miki Eleta crafted the Timeburner heavily inspired by combustion engines. The movement is based on a Swiss ETA 6497, which has been customized in order to activate a piston rod-style hand to indicate the minutes on a linear scale to the left of the dial while hours are on the main circular dial. Biegert & Funk exhibit a completely new kind of wristwatch, the QLOCKTWO. This watch does not show the time with hands or digits; the square watch face has a uniform grid of 110 letters. When the button is pressed, words light up in unexpected places which describe the time. We should not have favorites, but we do … and one of our favorites is Devon. Their Tread 1 has a mesmerizing display of DEVON’s own patented system of interwoven Time Belts that displays hours, minutes and seconds in a way that’s never been seen before. Also among our favorites are the Urwerk watches. The UR-210’s satellite complication with retrograde minute is quite unique – hours are indicated by one of three radial elements which rotate around their own axes (each element has 4 numbers on it – the element to read is the one under the minute hand). The Storm Darth, quartz operated, does not have a hand indicating hours but it has a revolving disc which gives the hours in a fixed position of the dial (similarly for the minutes). The Bradley watch still has rotating elements to indicate hours and minutes but those are tactile elements (balls) that a sight impaired person might be able to read. Most of the watches have a flat horizontal display or dial with numbers oriented either horizontally or in a radial direction. Some watch brands however challenge this norm and get creative in the orientation of the dial and/or numbering system. The deviation vs the norm might be gradual like in the beautiful Tiffany East West in which the numbers are rotated by ninety degree in order to read the watch with the hand pointing outward instead of parallel to the breast. Similarly the Slip Watch by Evan Cablot has a twist on the dial. In this case it is the dial being skewed so to give to the watch modern clean lines a new “spin”. Maximilian Büsser & Friends (MB&F) have made lots of incredible creations and one worth a specific mention in this section is the horological machine number 4 (HM4). The sleek aerodynamic form of the Thunderbolt's envelope has its roots in Maximilian Büsser's childhood passion for assembling model plane kits. The aviation inspired watch has two vertical (instead of horizontal) dials: one to indicate hours and minutes and the other for the power reserve. Romain Jerome is another icon and its Spacecraft is an incredible machine with linear retrograde jumping hour indicated by a red-lacquered cursor on a vertical side of the watch (similarly to the MB&F). This is probably the category with the biggest number of the so defined unique watches. Most likely this is due a combination of two factors that drive their popularity. From one side, some of the special features are easier to achieve because they might not require special movements or complex innovation (e.g. use of certain materials). On the other hand most of the special features are not a complete departure from the way common watches operates and the way people are used to read the passage of time (e.g. in opposition to 24 hour clocks) hence they can attract a bigger public. The bulk of the special features relate to the use of different and special materials, whether as decorative element or integral part of the structure of the watch. Romain Jerome plays with this element in order to create unique pieces – for example the Titanic-DNA is supposed to have a dial with coal recovered from the Titanic and the Moon Dust has a bezel with parts of Apollo 11 and dial in mineral structure containing Moon Dust. Talking about space, the Panorama Meteor by Schaumburg has a dial which consists of asteroidal fragments from the asteroid belt between Mars and Jupiter. Still to remain on theme Jacob & Co developed an incredible horological machine, the Astronomical Tourbillon. Quoting from their website - “The Astronomia Tourbillon is a truly unique, groundbreaking timepiece that elevates the art of watchmaking above the Earth, above time. Combining the highest level of Swiss timepiece craftsmanship and the horological decorative arts to create a watch that is a poetic visual rendering of the celestial world with every element in constant, visible motion, all under the control of the oscillator at the heart of the three-axis tourbillon with an orbital display of the hours and minutes”. Similarly Van Cleef & Arpels crafted the Midnight Planetarium to represent the movement of six planets around the sun and their position at any given time: Earth and Mercury, Venus, Mars, Jupiter and Saturn – all visible from Earth with the naked eye. Before talking about special complication, it is still worth mentioning another couple of watches that use special materials: Zanis & Co developed the Nuvati collection which also features floating diamonds in the dial while Dzmitry Samal developed a watch with the case made of concrete; Harry Winston use actual real feathers in the dial of the Premier Feather collection and ArtyA use fossilized dinosaur feces in the Coprolite collection while Sarpaneva leverage special composites in the Korona K0 to create glowing dials. We mentioned a couple of watches because their unique complications and one of the complications that are really special and unusual is the Triple Axis or Tri-Axial Tourbillon escapements (e.g. Vianney Halter in his "Deep Space" watch, Thomas Prescher, Aaron Becsei, Girard-Perregaux with the "Tri-Axial Tourbillon" and Jaeger Le-Coultre with the "Gyrotourbillon"). Also interesting are the musical watch collections by Boegli really unique in the industry and the Cinema by Konstantin Chaykin which feature a delightful animation in the dial. To close this section we want to mention the impressive bird repeater by Jaquet Droz a truly piece of art. The last category is actually one of the most disruptive hence only few watch models are part of it. Who said that only gears can operate an analog watch? Some companies challenged this thinking and came up with new (or old) ways to operate a watch. In particular, some of those unusual watches leverage new technologies to showcase the time while others leverage alternative technologies to measure the passage of time. Christophe Claret introduced the X-TREM-I in which hours and minutes are indicated via two tiny hollowed steel spheres, isolated within sapphire tubes which move with no mechanical connection thanks to magnetic fields. Another fascinating example comes from HYT watches (The Hydro Mechanical Horologists) in which time is indicated via the use of special fluids. A bit of a rarity are the NIXIE Tube watches which leverage glass tubes containing wire-mesh anode and multiple cathodes to indicate the time; when power is applied to the tube the catodes, shaped like numerals glow (generally in orange) and indicate the specific hours and/or minutes. Notably, one of the last creations is powered through solar energy so to mitigate the problem of high energy consumption. Talking about the use of alternative energy to operate a watch the Citizen Eco-Drive is a good example of light powered watch – whether natural or artificial this watch is able to convert the light into energy and use it to measure the passage of time. In this category fall also the watches that measure the passage of time via alternative method. The key example here is the Cesium 133 (baked on Kickstarter Dec 2015), the world's first wristwatch powered by a cesium-based oscillator. This revolutionary technology uses a chip-scale atomic clock (CSAC) to precisely divide a second into exactly 9,192,631,770 vibrations of the cesium 133 atom - in fact this is the scientific definition of a second by the International System of Units (SI). Similarly the HOPTROFF No.10 is most likely the world’s first pocket watch regulated by its own atomic clock. It is accurate to one and a half seconds per thousand years. Not just marginally better than other watchmaking movements, but thousands of times so. Luckily for the industry not everyone is focusing on “smart watches” but some watchmakers are still looking into “disruptive” innovation in the world of the more “traditional” timepieces. Obviously, there are many more unique and unusual watches worth mentioning but the above are our top of mind and quite representative of the five categories – hopefully enough comprehensive for you.